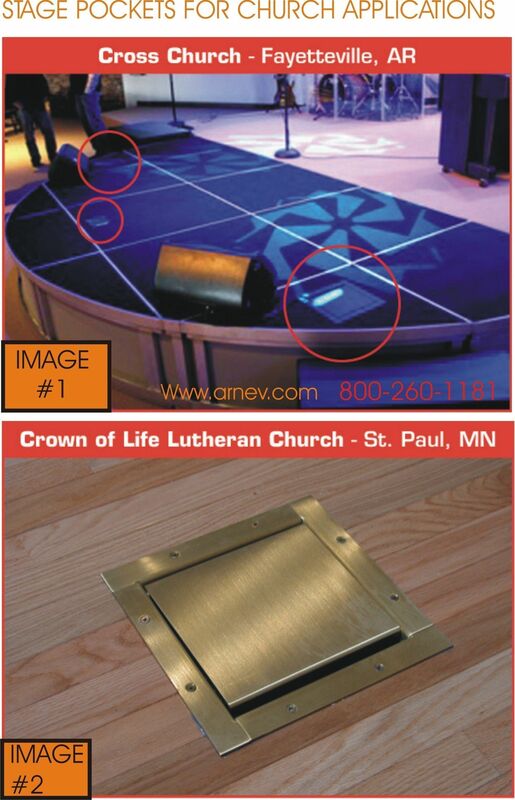 At Arnev, we manufacture the floor boxes for use in churches, theaters and stages. Commercial builders use our floor covers and boxes when wiring state of the art sound and entertainment systems. Our products are manufactured to be durable without compromising on style. Covers and finishing rings feature a variety of finishes and stains to create a decorative, yet functional finish to almost any entertainment system wiring project. Floor boxes are more than just a set of outlets used to plug in various entertainment system electronics. They are also a safety feature. Electricians use them to house electrical wiring beneath the floor of a stage or theater. Housing wires inside a specially designed casing can prevent fire, electric shock and other accidents. For additional safety, finishing rings are often mounted around the floor box to create a smooth, finished surface. Finishing rings also provide a decorative finish to the electrical installation project. Interior decorators use them to create coherent design themes throughout large commercial theaters. 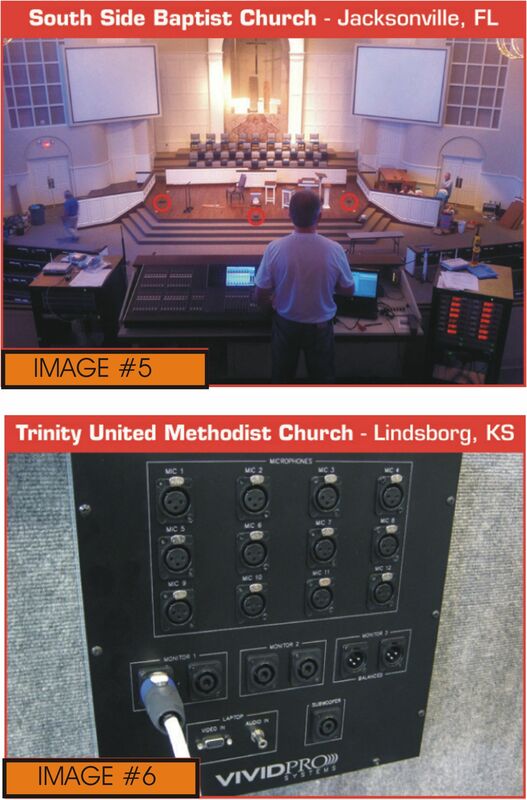 We offer a variety of designs, configurations and themes to fit the needs of your stage wiring project. We are the leading manufacturer and distributor of floor boxes and switchplates in the United States. 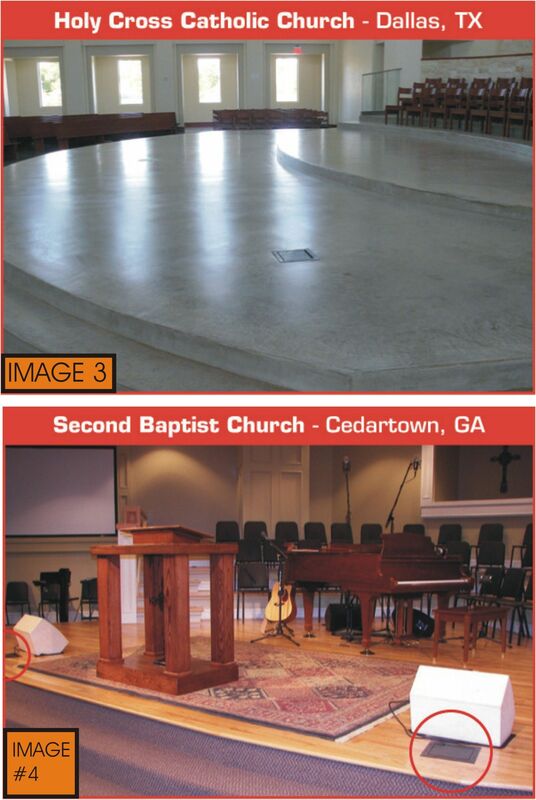 For more than 20 years our company has designed and distributed the products commercial builders need to wire churches, theaters and public stages. We take pride on manufacturing our products from American made raw materials. We use corrosion resistant materials and stainless steel to manufacture each of our products. Best known for our high quality, durable light switch covers, we at Arnev take pride in offering quality built floor boxes as well. We guarantee our boxes to be long-lasting for years of use. Products are easy to clean, easy to maintain and are resistant to scratches, warping and damage. Stains and dust are easily removed without damaging the surface of the finishing ring with just a damp cloth. We manufacture our floor boxes from safe, durable materials with non-current conducting backing to protect product users. Having properly installed floor mounts ensures that no electrical wiring is left for children, performers and building operators to accidentally touch and become electrocuted. Our floor boxes are available in many different configurations to suit all of your staging needs. Use a floor box to plug in stage lighting, speakers, microphones and other electronics needed throughout your school, church or community theater productions. Supplying your community, church or school theater with the electronics it needs is easier when you shop at Arnev. We have electric wiring products available in a variety of designs, colors, configurations and themes to suit your stage production needs. Browse our website to view the different floor boxes and other products we offer to help you complete your theater wiring project.